Part of the Hogarth Shakespeare series, in which contemporary novelists reimagine the Bard's iconic plays as. The author of the Patrick Melrose novels brings King Lear to the modern era in the story of a once-powerful head of a global media empire and his scheming daughters. An author whose books are brutal and exquisite novels of inheritance, wealth, families, and cruelty, he has never hesitated to inflict pain on his audiences, and the result here is a moving, brutal and apt adaptation of the play for the Hogarth Shakespeare series ... One thread of Lear that St. Aubyn picks up beautifully is the play's awful and intimate relationship to nature. Like Lear, Dunbar projects his inner confusion on outside objects ... Aubyn is one of the few authors I can think of whose novels are magnificent in spite of not having something I always assumed was necessary in great novels: generosity and empathy for people outside the protagonist. In fact, perhaps one reason King Lear suits him so beautifully is because no one in the play has anything like the pull of Lear himself, just as no one stands up to Patrick Melrose in St. Aubyn's autobiographical novel ... Aubyn has built a career out of family pain, and his language has a wonderful poetic density, dry, expansive, self-conscious, and savage, all at once. 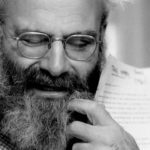 In Lear, only Lear changes; everyone else stays two-dimensional, as frightful (Goneril and Regan) or virtuous (Cordelia) as they are at the start. 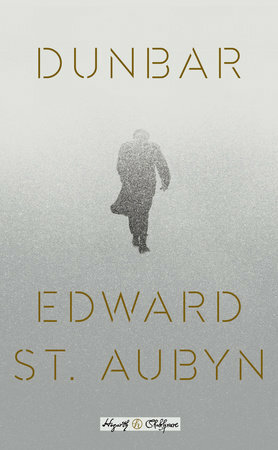 St Aubyn chooses to maintain this intense, singular focus. His Lear is Henry Dunbar, the head of an international media cooperation – like Conrad Black or Rupert Murdoch – and is brilliantly awful ...other characters, even minor ones, are also wittily and cleverly updated ... St Aubyn has always been a surprising writer with the power to shock: here, we know the plot already, and clever though Dr Bob’s machinations are, we can never suspect that things will end well for him ... St Aubyn’s Dunbar, in contrast, simply recounts the tale of how painful it is when an old, powerful man loses everything. It’s still a sad story, but it is also a more limited one than this immensely talented writer can tell. Dunbar is the latest installment in the Hogarth Shakespeare series, a collection of modern prose retellings of Shakespeare’s plays...It’s an intriguing matchmaking exercise, but the pairing of St. Aubyn with Lear seems predestined … The immediate pleasure of Dunbar is in St. Aubyn’s mimicry of Shakespeare’s gift for banter. Dunbar and Peter spar back and forth, Peter adopting various guises as a career impersonator, Dunbar struggling to collect his fragmented thoughts. Peter’s patter is the classic nonsense-wisdom of the tragic clown, updated for modern vaudeville … St. Aubyn’s own women characters are much more nuanced, and it’s hard not to long for a more thorough engagement with female ambition. But St. Aubyn rivals Shakespeare in his magnificently scathing language. What did you think of Dunbar?